Finally, after months of NFL action we are down to the nitty gritty of the National Football League. This Sunday the NFL will present its version of the Final Four, as four teams will compete for the honor of moving on to the Super Bowl. On paper it looks as if this year’s NFL Conference Championships will live up to the hype, drama, and competition expected with January play. Starting off in the AFC, the New York Jets will look to do what the Jets haven’t done in over four decades and that is play in the Super Bowl. Rex Ryan brings the same bravado to the Jets that his dad brought to the 1985 championship Chicago Bears. Mark Sanchez will bring the hopes and dreams of many hard working New York Jets fans to Indianapolis as he and gang green look to continue their miracle season against the Indianapolis Colts. To most Indianapolis Colts fans, this is just a formality. By mid-season when the Colts were 8-0 and rolling, fans started talking Super Bowl. The Colts have been a remarkable team this season. No expert in the world expected the Colts to continue without missing a beat after the retirement of their coach Tony Dungy. Let’s not kid ourselves here. It is Peyton Manning running this show with Jim Caldwell in the co-pilot chair. On paper this looks like the biggest mismatch in conference championship history. So did the AFC divisional title game in San Diego last week and look at how that turned out. Of all of the potential AFC title matches, I truly believe that you couldn’t get a better storyline than what you get out of a Jets-Colts match. Think of the irony here! The Colts played the Jets in their 15th game of the NFL season. The Colts clinched home field advantage throughout the playoffs by this point. Instead of continuing their undefeated streak and going for a complete NFL undefeated season, the Colts sat their starters in the second half. The Colts immediately gave up a lead and their chance in NFL history. A loss would have eliminated the Jets from NFL postseason play. The Jets wound up winning the game. How ironic that all Caldwell had to do was leave his starters in, and the Colts would likely be playing someone else? I don’t think you could ask for better drama than this. What can you say about the Jets that hasn’t already been said? 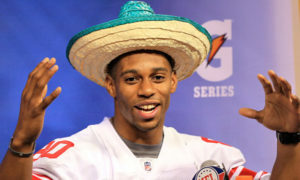 Like the New York Giants of 2007, this is a team that got red hot at the right time. Thomas Jones is arguably the best 31-year old running back I have ever seen. The Jets started out the season red hot at 3-0. A mid season collapse had some people ready to call the rookie QB a bust. The Jets did what they had to do to get into the playoffs. Two amazing back-to-back wins over the Cincinnati Bengals should have been enough to convince Jets doubters. A win in San Diego over arguably the hottest team in the NFL has convinced me that this team is for real. The game plan is real simple for the Jets. They need to wither the storm early. Peyton Manning is going to come out firing. If there is any lesson to be learned by watching the Jets, it is that you can’t let up on this team for a second. If the Jets can come out early and withstand the initial offensive onslaught by Manning and the crew, they have a great chance of winning this game. Rex Ryan coached several Baltimore Ravens defenses that had great days against Manning, so he knows how to play him. Even in the first game this season, he did a decent job of containing Manning. 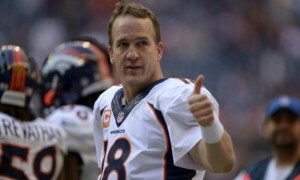 As great as Manning is, he is in now way a given in the playoffs. He is going to have a heck of a job to do on Sunday. The New York Jets on offense need to keep doing exactly what they have been doing and that is run. They may not break big runs early on, but by the time the third and fourth quarters come around, they will have broken down the Colts defense, and they will get their holes. The problem is, if Manning gets up early, the Jets won’t be able to run so they need to make sure that doesn’t happen. With all due respect to Mark Sanchez, if the Jets need him to win the game, it won’t happen. I think the Colts running defense is better than most people give them credit for. At the same time, I think the Jets should definitely take some play action shots early on to keep the defense honest. I don’t think anyone is expecting the Jets to come out throwing. A few completed deep throws early on by Sanchez could make this a very different game. I have picked against the Jets for the last four weeks and I am done. I really love the Jets here. I think there is something mentally about this game that gives the Jets a huge edge. I am not a superstitious guy, but I do believe there is something here about the Colts throwing away history and being bit by the Jets weeks later. The Colts know this and if they are down early, I think they will have more pressure on them than the Jets would. I love the Jets in an upset and I look for Rex and the boys to be playing again in two weeks. The NFC title game has the makings of an all-time classic this weekend. The Minnesota Vikings travel to New Orleans to play the New Orleans Saints with the winner moving on to the big dance. This game reminds me a lot of the old 49er-Cowboys games in the early-mid 1990s where the NFC title games had more interest than the Super Bowls. The NFL couldn’t have asked for two better teams and more stars than the competition coming out of the NFC. Both teams looked incredibly impressive last week in their home wins. For the Saints, they had contributions from an unlikely player in Reggie Bush. For the Vikings, Brett Favre looked like he just got done taking a bath in the fountain of youth. Both teams had convincing wins with very little competition from their opponents. Other than a few scares, the Vikings and Saints simply brushed off the Cowboys and Cardinals in games that looked more suited for Madden 10. I think there were more questions surrounding the New Orleans Saints last week than any other team. 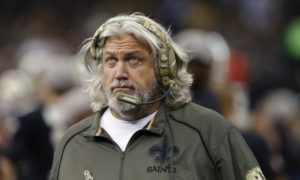 The Saints rolled for 13 games, winning some by the hairs on their chin, but going 13-0 nonetheless. Unlike the Jets who got hot as the season closed, the Saints wound up losing their last three and looked like anything llike a team ready for prime time play. Things didn’t look much better when the Cardinals broke off a long touchdown run on the first play of the game. That was child’s play for the Saints who wound up returning a score and never looking back. The coming out party of Reggie Bush is something that has to make Saints fans delighted, while giving Vikings fans yet another weapon on the team to worry about. The Vikings looked equally good in their game last week against the Dallas Cowboys. While a few Dallas missed field goals killed the Cowboys, I don’t know how different the game would have played out even if they made them. The pressure from the front four of the Vikings was just awesome. Adrian Peterson didn’t do much in the numbers, but was more valuable than people have given him credit for. The threat of a long Peterson run, opened up the passing game for Favre, who made them pay every time with passes all day long to Sidney Rice. I get the feeling that this won’t be the shootout people are hoping for in the early stages of the game. Let’s face it. The way to beat the Saints is to grind out the football on long drives and keep Drew Brees off of the field. The way to beat the Vikings is to grind out the ball with long rushing drives and keep Favre and Peterson off of the field. I envision both teams coming into this game with run-heavy game plans early on. Who blinks first is the real question. I lean a bit on the Favre end with this one. Brett Favre’s propensity to audible has now turned into a national headline. I could easily see Favre taking some shots down the field if he sees an opening or the Vikings running game can’t get anything going. I love how the “experts” say the way to beat Drew Brees is to put pressure on him. I think that is ridiculous. I watched teams rush Drew Brees all season and I watched him make most of them pay. Now the Cowboys had success due to the pressure, but I can’t create a game plan on the success that one team had with the pass rush. I do think Jared Allen will get to Brees, however if Brees gets rid of the ball short or long, someone like Jeremy Shockey or Reggie Bush can turn a short dump pass into a score without missing a beat. The Vikings are definitely going to have to take their shots on Brees, but it can’t be an all blitz day or the Vikings will get burnt hard. I think it is fair to say that the Vikings go as Brett Favre goes. There have been games like the Chicago Bears game where a rusty start cost them the game. At the same time, his second half play in that game was brilliant and would have won them the game if not for the slow start. The Vikings are a rather young team on offense. I do wonder how guys like Sidney Rice and Percy Harvin will react early on in such a big situation. Even Adrian Peterson with all of the pressure he must be feeling between last week’s poor performance and the fumbles all season may or may not be 100% there for the game. I think this is a very big x-factor that hasn’t really been talked about for the Minnesota Vikings. In the end I lean slightly towards a Vikings win. I just think the Vikings defense will be too much for the Saints to handle for four quarters. I do think Brees will get frustrated and press at times and turn the ball over at least once. Brad Childress coached in a lot of these games as a coordinator with the Philadelphia Eagles, so he has been here before. There is just something special about this Vikings team that leads me to believe that they will be the better team on Sunday. I think these are two teams that if they played ten times, you’d have a five-five split. This weekend, I am leaning towards the old man and All Day to make Vikings fans proud and represent them in Miami. Check out the NFL Film Classics – Legends of Autumn, Vols. 1-3 DVD by clicking here.